In the early part of this century, Argentina was one of the most affluent nations in the world. Since then, the Argentine economy has experienced long periods of stagnation and recession. Larry Sawers links the country's economic failure to the backwardness of the interior, which comprises 70 percent of the area of the country and in which nearly one-third of the population resides.The interior's poverty, according to Sawers, is caused by the scarcity of agricultural resources and by serious inequalities in the distribution of those resources. The region is poorly endowed, land has been degraded through abuse and overuse, and most farmers work tiny, unproductive plots. Moreover, most of the products of the interior are produced for highly protected domestic markets and face stiff competition and falling prices in world markets. 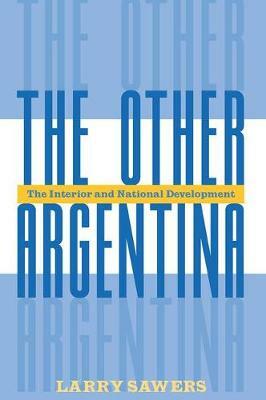 Recent reforms in Argentina have dramatically aggravated the economic crisis of the interior.Sawers shows how the poverty of the interior has contributed to the dismal performance of the Argentine economy as a whole. He emphasizes the deleterious effects of extensive emigration from the interior to the major urban areas that are unable to absorb the human tide. Additionally, the national government has taxed the more prosperous regions in order to subsidize the interior, placing a severe drain on the federal government budget and worsening inflation. The effects of the interior's poverty on the nation are also political. Sawers argues that the backward political system in the interior exacerbates the worst features of the national political culture and governance, which in turn pose profound obstacles to economic progress.